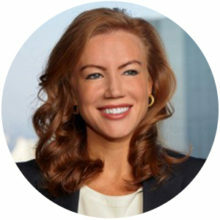 Theresa Eaton is a Managing Director at SCF Partners, an energy focused private equity firm headquartered in Houston, TX. Theresa is responsible for the Origination Group and sourcing acquisition opportunities as well as their ongoing strategic oversight and development. Prior to joining SCF Partners, Theresa worked at First Reserve Corporation. She received a dual degree in International Relations and Asian Studies from Duke University. After that, she worked in the Institutional Securities and Private Wealth Management Divisions at Morgan Stanley in Manhattan. She subsequently attended Duke University Law School where she earned her J.D. and later worked in the Corporate and Securities group at Vinson & Elkins LLP. She sits on boards of BCCK Engineering, a provider of engineering, procurement, fabrication and field construction services, focusing on midstream oil and natural gas processing applications and on the board of Hi-Tech Industrial, a provider of integrated specialty services to the downstream energy, infrastructure and industrial markets. Theresa also serves on Duke University’s Board of Entrepreneurship & Innovation, the board of the Center for Hearing and Speech and the board of the Broach Foundation for Brain Cancer Research, an organization she co-founded and has jointly raised more than $4 million for glioblastoma research.